My favorite dippers for cheese fondue are crusty bread, cauliflower, carrots, salami and green apple. Really, it's the perfect meal for a holiday since the platter of dippers can be made well in advance. I plan on making a chocolate fondue course as well, and I think Parker is going to go crazy about it! During the day on the 14th, Parker has school and I'm planning on picking up a dozen roses (from Costco of course!) and wrapping them individually in cellophane so he can hand them out to each of his teachers and the office staff (because who doesn't love flowers on Valentine's Day?). Valentine's Day will also be filled with all the red, pink and heart shaped everything I can find! My sweet friend Courtney pointed me to the Martha Stewart heart shaped cast iron dutch oven above, which was less than a quarter the cost of the Le Creuset one I was fawning over. Score! How are you celebrating the day of love? 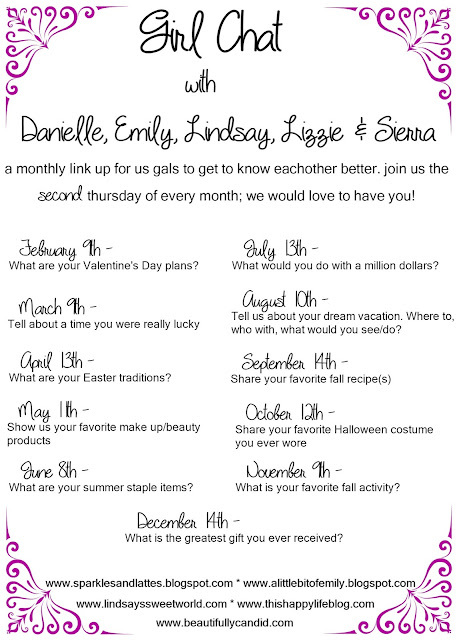 Linking up here for Girl Chat Thursday! Fondue is such a fun and festive meal! It sounds like you all are going to have a great time celebrating! For the price, I think the sunnies are a must-have for heart day! Oh those hunters are so pretty - and those earrings! I saw a big Martha Stewart set up at the store today and somehow missed those cute heart dutch ovens. My coworker was just saying how he had reservations for this weekend at The Melting Pot - sounds like it's a favorite. Thanks so much for linking up! I love fondue but have only had it once! How fun to make it at home! Those Kendra Scott earrings are gorgeous!! Thanks for linking up!! Yum! So I've never had fondue and I'm thinking it needs to change... is it pretty easy to make? I assume it's similar to queso but maybe not. Happy Friday! 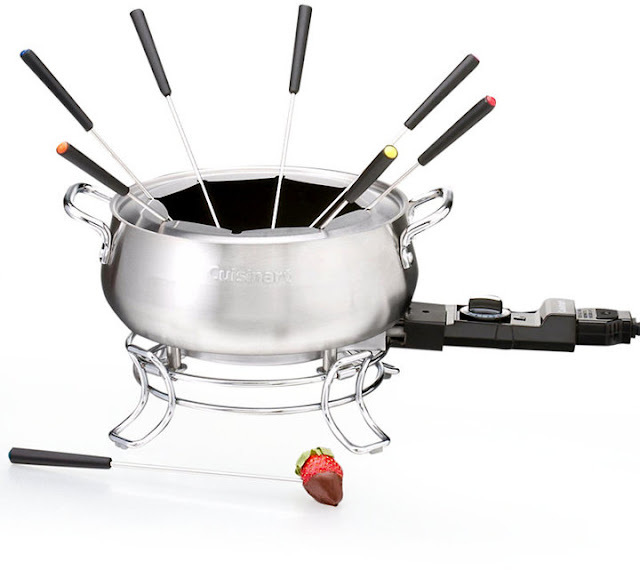 Oh my GOODNESS, you are going to make me get a fondue set for our house!! How much fun is that?! And thank you so much for linking up with us! Happy weekend! I love fondue. It is one of my favorites, but I have never tried making it. I only go out for it. And I love all the Valentine gifts. Hunter boots are always amazing and those earrings. Swoon. Have a great weekend! Eek! I think I may have to make reservations at the Melting Pot for our date night in Atlanta. I haven't been there in AGES! And it was only for dessert that time.